When I first saw this old birch tree looming out of a dense freezing mist around the shoreline of Loch A Chroisg, I saw the head of a white haired bearded old man perched on a scrawny neck. I immediately thought of that old crook Fagin with his hooked nose and furtive look, and I found myself humming the theme tune to the musical Oliver. I still can't get past the image of Fagin even though three years have gone by since I took the shot. 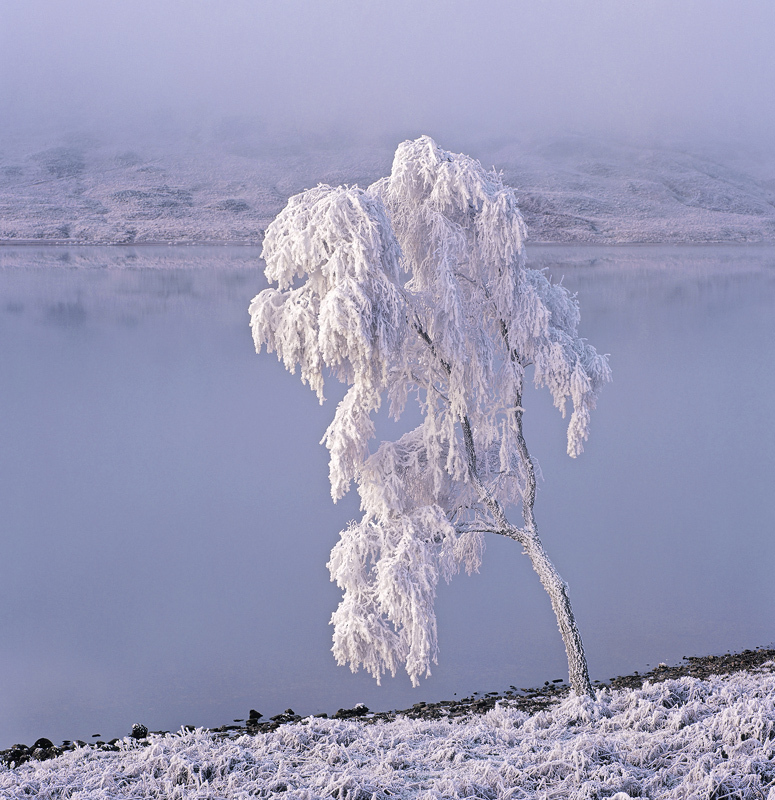 It goes without saying that this was some of the hardest hoar frost I have ever encountered and I have rarely had a more productive day's shoot. For a few minutes the rising sun stained the mist pink and Fagin looked slightly embarassed.